"There is a Superhero in All of US. 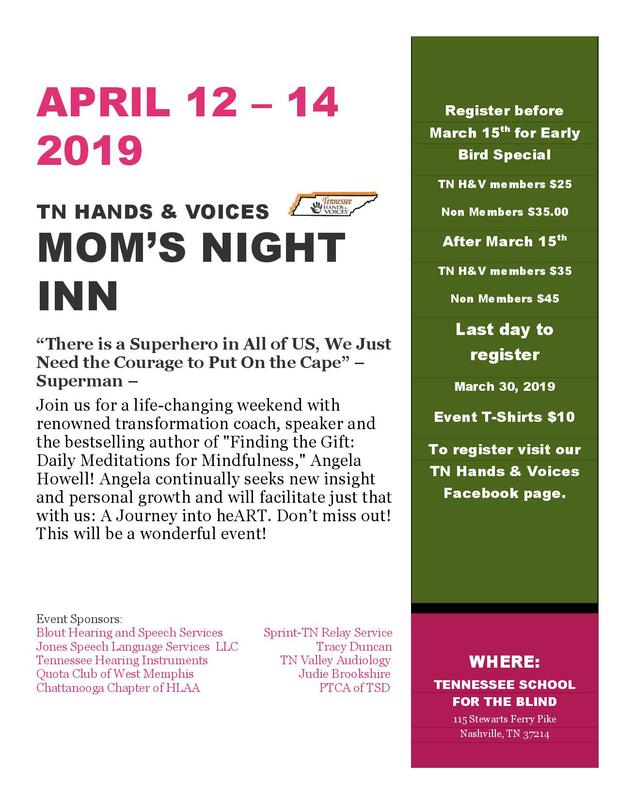 We Just Need the Courage to Put on the Cape" - Superman Join us for a life-changing weekend with renowned transformation coach, speaker and the bestselling author of "Finding the Gift: Daily Meditations for Mindfulness," Angela Howell! Angela continually seeks new insight and personal growth; and will facilitate just that with us. A Journey into heART. Don't miss out! This will be a wonderful event! To register: visit our Tennessee Hands & Voices Facebook page.